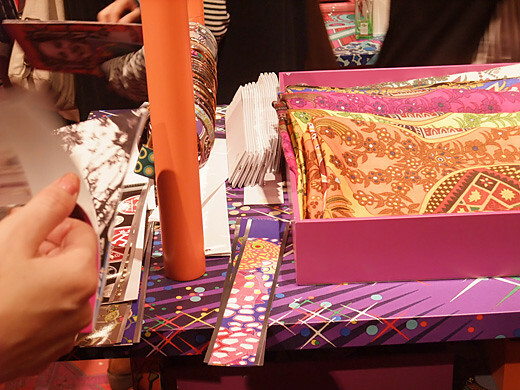 Then we went to Hermes pop-up store. 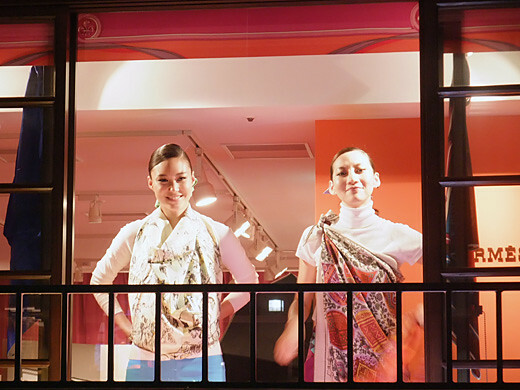 Models were standing by the window to show us how to tie Hermes scarves. 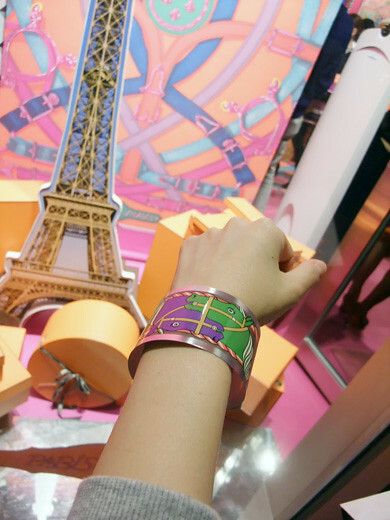 And we could get faux enamel bangles… made of beautiful paper. That was so fun! Awww, I’m so sad I missed this! oh how neat!! :) i would have loved to attend! !